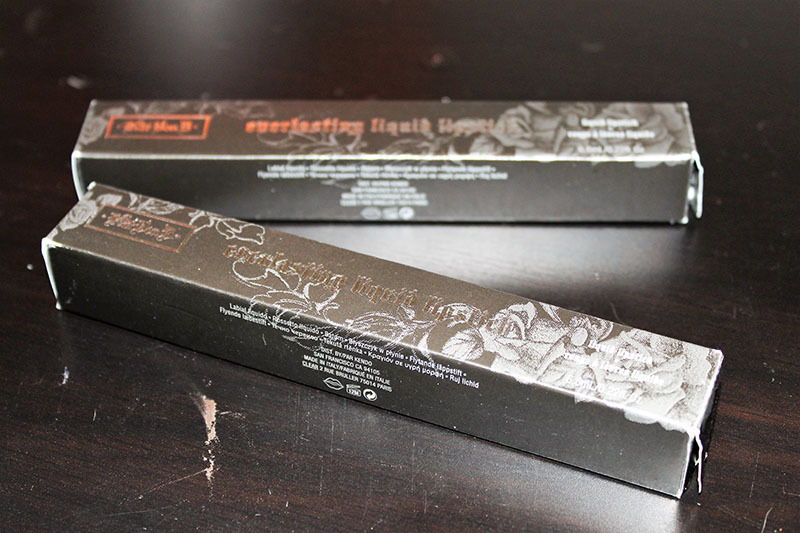 You've probably seen my ridiculous Sephora/Ulta haul by now, if you haven't you can find it here. 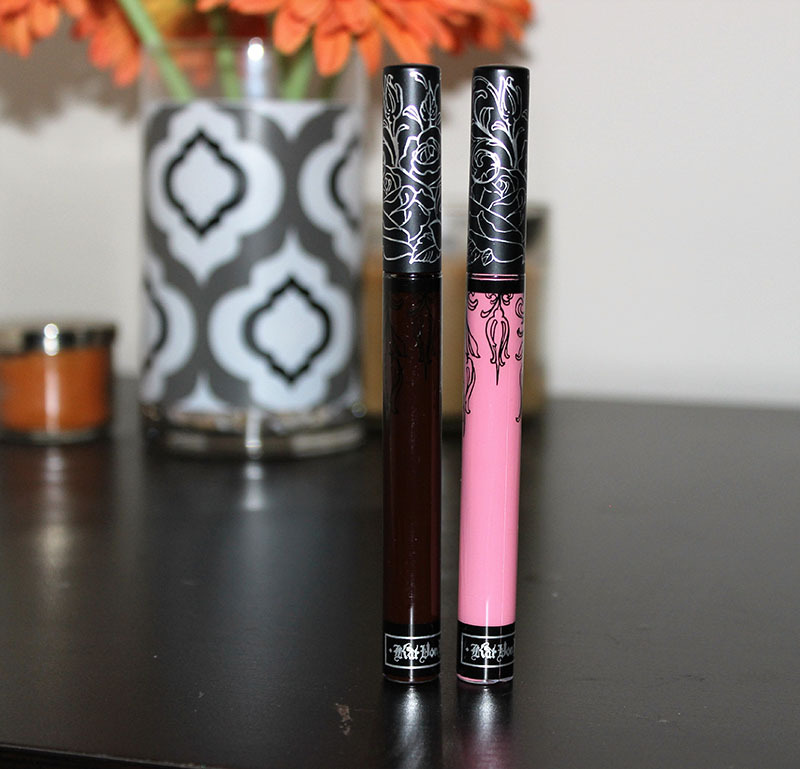 Today I wanted to share the Kat Von D Liquid Lipsticks swatches and review with you. 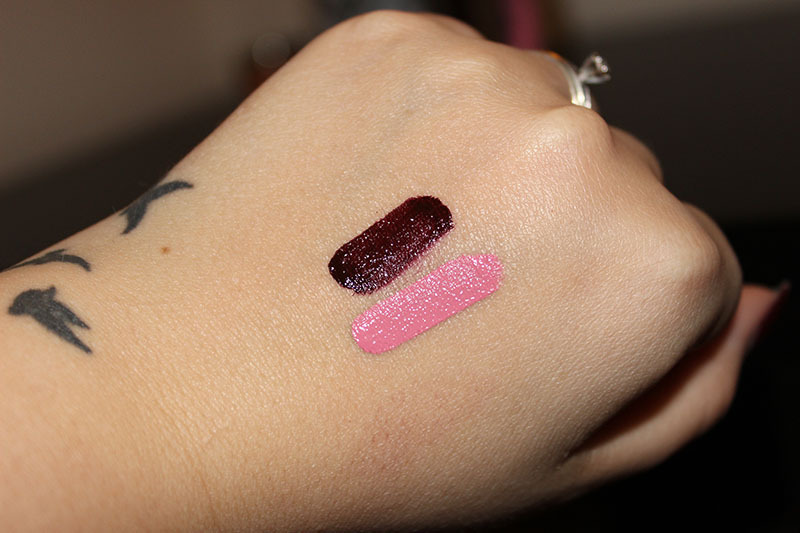 I've reviewed two other shades in the past, Backstage Bambi, a neon pink and Echo, a navy blue. The two I'm sharing with you today are Melancholia and Damned. 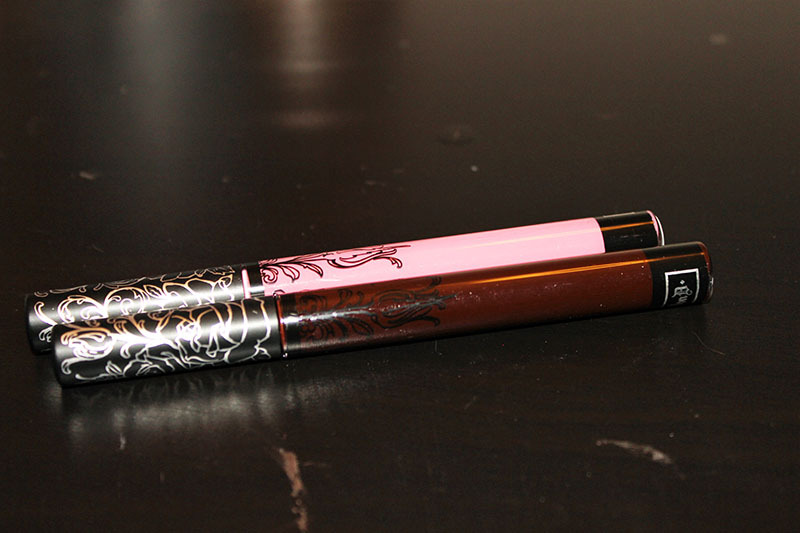 Melancholia is a light pink shade, with neutral undertones. I was actually expecting and hoping for it to be lighter and more blue toned, but it's just not. This is a great everyday, rosy shade and will work well through the fall season for a day-to-day quick look. The formula on Melancholia isn't the best. It's a little patchy and streaky, so it requires more work. This one also doesn't last as long on me as the others I've tried. It's the least favorite of the 4 I own.